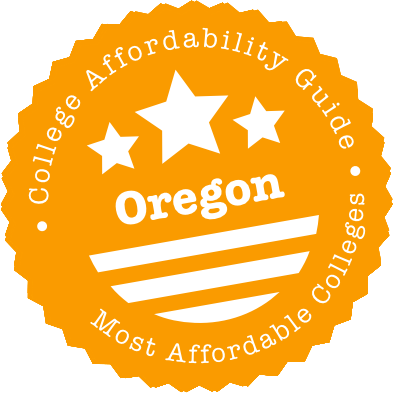 Scroll down to see our top-ranked colleges in Oregon, loans and scholarships for Oregon students, and advice on how to save money going to college in Oregon. Portland State University has been named one of the Top 10 Most Innovative Schools in the U.S. for three years in a row, with U.S. News praising the school for its efforts to remain affordable and to collaborate with local businesses. PSU's most notable affordability outreach is the Four Years Free program, which is open to incoming freshmen who graduated from an Oregon high school with a GPA of 3.4 and who are eligible for Pell Grants. Four Years Free pays any tuition and fees that aren't covered by federal and state financial aid. Overall, 70 percent of students receive some sort of financial aid, with awards averaging nearly $12,000. The PSU Foundation offers $2.4 million in student scholarships. Ideally located in one of America's most livable cities (Eugene, OR), the University of Oregon nurtures and supports the educational aspirations of 24,000 students in its 295-acre campus. Entering freshmen with outstanding academic history are encouraged to apply for the Stamps Leadership Scholars program (covers UO tuition, room and board, plus an $12,000 enrichment fund over four-years) and the Presidential Scholars program ($9,000/year). The university considers academically gifted students who can contribute to the cultural diversity of the student population for the Diversity Excellence Scholarship ($6,500/ year). Qualified students are automatically considered for the Summit Scholarship ($6,000/year for in-state students, $9,000/year for out-of-state students) and the Apex Scholarship ($3,000/year for in-state students, $4,000/year for out-of-state students). On the hunt for a cheaper college education in Oregon? You’ve got options. Many of the major public players offer substantial aid packages. Reed College meets 100% of every admitted student’s demonstrated need! To make your college degree truly affordable, especially if you’re living in Portland, we also recommend you look at state financial aid (OSAC’s easy scholarship application is a “must-do”) and explore other sources of funding. Some of Oregon’s loan repayment/forgiveness programs for public service are particularly generous. With an approved unit of transferable general education courses and associate transfer degrees, Oregon students typically find that college credits are simple to transfer between state institutions. The Oregon Transfer Module is an approved set of 45 general education courses that fulfill lower division requirements for all institutions within the Oregon University System. Students with an Oregon Transfer Module will have met the requirements for the module at any institution in the Oregon University system or Oregon community college. Additionally, students who have completed an associate’s degree can fully transfer their credits, and depending on university policy, degrees may also be accepted from neighboring states including California and Washington. Students have the opportunity to complete a statewide associate’s degree that offers complete transferability of coursework. Oregon does not offer a statewide course equivalency guide, however, college articulation agreements are available. To get the cheapest college degree possible, always see what your state can offer. And the first stop for student state aid in Oregon is the Office of Student Access and Completion (OSAC), run by Oregon’s higher education agency. OSAC provides advice on the FAFSA & college planning, grant applications, important information on deadlines and an entire section devoted to 500+ Oregon scholarship programs. To increase your chances of being considered for state aid, file your FAFSA and any other necessary application forms as early as possible. Summary: Chafee grants were created to support current or former foster care youth. Eligible youth may be eligible to receive up to $3,500 per academic year for post-secondary education and training. These awards are based on financial need, so you may not be granted this much if you’re receiving aid from other sources (e.g. private scholarships) or attending school part-time. Eligibility: To qualify as a foster care youth, you must currently be in foster care or been in foster care for at least 180 days after your 14th birthday and exited substitute care at age 16 or older or be participating in the voucher program on your 21st birthday. You can continue to apply/receive funds until you turn 23 years old as long as you’re enrolled in a post-secondary education or training program and making satisfactory progress. How to Apply: 1. File your FAFSA. 2. Complete the Online Chafee ETG application on the OSAC website. 3. Certify your application electronically and submit any additional documentation to your school’s Financial Aid Office. Please visit the website for more details on the application procedure and fund disbursement. Summary: Designed to help cover college tuition and fees, the DPPSO grant is awarded to dependents (children or stepchildren) of an Oregon public safety officer killed or disabled in the line of duty. The definition of public safety officers includes firefighters, state fire marshals, police officers, sheriffs, county adult parole and probation officers, correction officer and investigators of the criminal justice division of the Department of Justice. Eligibility: To receive the grant, you must be an Oregon resident, enrolled (or planning to enroll) as a full-time undergraduate in an Oregon college (two-year or four-year) and have demonstrable financial need. How to Apply: You apply by 1. Filing your FAFSA. 2. Completing the Application and Certification of Eligibility for the Deceased or Disabled Public Safety Officer Grant. Summary: Planning to become a barber, hairdresser, cosmetologist or manicurist? If you live in Oregon and have significant financial need, you may be eligible for a one-time award from the B&H fund to help pay for tuition costs. Eligibility: You must be a resident of Oregon who is enrolled full-time in a licensed school of barbering, hair design, cosmetology, or manicure in Oregon that participates in Federal Title IV financial aid programs and participates in the Barbers and Hairdressers Grant Program. How to Apply: OSAC will use your FAFSA to determine if you’re eligible for the grant; you don’t have to fill out a separate application form. Be sure to file your FAFSA early and list the barber or beauty school you plan to attend. Summary: OOG is the largest state-funded, need-based grant program in Oregon, offering state aid to 40,000+ students. Eligibility: Grants are awarded based on your financial need, which OSAC determines by analyzing your FAFSA. You must list at least one eligible Oregon college or university on your FAFSA to be considered for a grant. How to Apply: To apply, you should file your FAFSA or fill out the Oregon Student Aid Application (ORSAA). OSAC’s filtering tool will tell you which one (FAFSA or ORSAA) you need to complete—the ORSAA is generally intended for non-U.S. citizens and DACA students. Summary: Oregon Promise grants help high school graduates, including non-U.S. citizens, afford to go to community college. Funds cover the average tuition for full-time enrollment at a state community college. Eligibility: To be eligible, you must receive your high school diploma or GED, enroll in a state community college within 6 months of completing high school/GED, have been an Oregon resident for at least one year prior to enrollment, have a cumulative GPA of 2.5 or more and accept all other stated and federal grants awarded. The grant can’t be awarded to current community college students. How to Apply: To apply, you should fill out an Oregon Promise application and file your FAFSA or ORSAA. OSAC’s filtering tool will tell you which one (FAFSA or ORSAA) you need to complete—the ORSAA is generally intended for non-U.S. citizens and DACA students. Summary: The Oregon Student Child Care Grant Program aims to assist parents who are enrolled in post-secondary education pay for safe, dependable child care. Qualifying post-secondary institutions include Oregon community colleges, public universities, and private universities. Eligibility: To be eligible for a grant, you must be an Oregon resident (citizen or eligible non-citizen) with a child/dependent under the age of 12 or a child over 12 who satisfies the requirements of special needs. You must also maintain satisfactory academic progress and not be in default on any federal Title IV loan or owing a refund on federal Title IV funds previously disbursed. How to Apply: Fill in the Oregon Student Child Care Grant application available on OSAC’s website. Please visit the website for more information on how the state prioritizes awards (preference is given to prior year recipients who complete a new application). Summary: OSAC makes 500+ scholarships available to Oregon students, with award amounts ranging from $1000 to $10,000+. Depending on the scholarship, this money could be used to pay for your tuition and fees, room and board, books and supplies or to clear student debt. All in all, OSAC awards more than $16 million in private scholarships every year. Eligibility: You don’t have to be a brilliant student with a massive GPA to receive a scholarship—there are awards for school and community activities, career tracks, high school alumni… the list goes on and on! Check out the OSAC Catalog to see what’s available this year. How to Apply: You can apply to all of these programs through a single OSAC Scholarship Application! Summary: This program provides loan repayment assistance to behavioral health workers who agree to practice for a minimum of one year in a Mental Health Professional Shortage Area (MHPSA). These are usually rural areas and places with cultural or ethnic communities that are underrepresented in behavioral health services. For your service commitment, you may receive up to $20,000 to repay qualifying debt. Eligibility: To apply, you must be an unlicensed behavioral health provider that has completed—or will complete within 8 months of applying—a master’s level or higher degree program in an approved mental health field. The website has a list of eligible fields, which include counseling, psychiatry and psychiatric nursing. How to Apply: You’ll find an application form and more detailed information on the program website. Summary: This program was created to help Medicaid patients in underserved areas of Oregon receive quality healthcare. In return for a minimum of three years full-time service at a qualifying site, primary care providers (PCPs) may receive up to $105,000 to repay qualifying debt. Eligibility: The definition of PCPs includes doctors, dentists, nurses, therapists and more. Please visit the program website for a full list of accepted professions. You must also be contracted to start working at a qualified site within 4 months—or have been working at a qualified site for less than 24 months—from the date of application. To determine if your site is acceptable, you should ask your manager or director to submit a site application. How to Apply: You’ll find an application form, the site application form and more information on the program website. Summary: To address a shortage of health professionals in rural Oregon areas, this program offers loan assistance to primary care providers (PCPs) who serve in Oregon Health Professional Shortage Areas (HPSAs) for two years. PCPs can receive a maximum award of 20% of qualified loan debt per year. The loan repayment program provides half the funds; the health care practice site provides matching funds. Eligibility: You must 1. Be a US citizen at the time the application is submitted. 2. Contracted to begin working—or already working—in a HPSA designated service site. 3. Committed to providing services in primary care. The website has a long list of eligible PCP professions, which include everything from doctors and nurses to dentists and counselors. How to Apply: Please visit the program website for information on applying. Awards are only given when funding is available. Summary: The Oregon State Bar (OSB) LRAP is intended to help public service lawyers pay back some of their educational debt. The program makes a forgivable loan (LRAP loan) of up to $7,500 per year for a maximum of three consecutive years. Provided you have been in qualifying employment the prior year and have paid at least the amount of your LRAP loan on your student loans, the program will forgive one year of loans per annum. Eligibility: You must be a member of the OSB by the application deadline and licensed to practice in Oregon. However, you don’t necessarily have to be a graduate of an Oregon law school or an Oregon resident to qualify. Provided you work in Oregon and fulfill all the other criteria, you’re welcome to apply. See the program website for details on qualifying employment categories, salary caps and minimum debt. How to Apply: You’ll find a variety of application forms and detailed instructions on the program website. Summary: If you’re a non-Oregon veteran attending undergraduate or graduate classes at a public university or community college in Oregon, you may only have to pay the in-state/resident tuition rate. Eligibility: To qualify, you must have served in the U.S. Armed Forces, been relieved or discharged with either an honorable discharge or a general discharge under honorable conditions and provide proof that you have established a physical presence in Oregon within 12 months of being enrolled at the public university or community college. How to Apply: You can apply by completing the Exemption from Nonresident Tuition Veteran Form on the OSU website and submitting all supporting documents in person to the VA Certifying Officials. Contact the Office of Financial Aid and Scholarships for help. Summary: This program provided educational benefits to Oregon veterans engaged in approved educational training or coursework equal to the months of active duty service for up to 36 months. Funding was suspended for the 2015-17 period; check the website for further updates. For more information and assistance with military education benefits, contact the Oregon Department of Veterans’ Affairs. Summary: OSU offers a full tuition waiver to the dependent (child, adopted child or stepchild) or spouse of a member of the U.S. Armed Forces who either died in active duty, became 100% disabled in connection with military service or died as a result of a disability sustained in active duty. This waiver is only available for students pursuing a bachelor’s or master’s degree. Eligibility: Along with the veteran dependents listed above, dependents of a Purple Heart recipient—alive or deceased—who was relieved or discharged from service in the U.S. Armed Forces with an honorable discharge or a general discharge under honorable conditions and was awarded the Purple Heart in 2001 or thereafter for wounds received in combat are also eligible. How to Apply: You should complete the application form on the OSU website and submit it to the OSU Veteran Certifying Officials. Once these officials have verified that requirements have been met, the application will be forwarded to the Office of Financial Aid and Scholarships for processing. You only need to apply once for this program. Summary: VOYAGER rewards Oregon residents who have served as active members of the National Guard or Reserves in a combat zone since September 11, 2001. Qualifying students receive a fee remission for the difference (and no more) between OSU campus tuition and mandatory fees and their expected military tuition benefits. In effect, that means students don’t have to pay for tuition. However, the program doesn’t cover E-Campus or distance courses. Eligibility: You must have been called up to active duty in a National Guard or Reserve unit and served in a combat zone since September 11, 2001. You must also be an Oregon resident seeking an initial bachelor’s degree on a full-time basis. How to Apply: You should complete the application form on the OSU website and submit it to the Office of Financial Aid and Scholarships. You’ll also need to file a FAFSA and apply for the National Guard Tuition Assistance Program (if necessary). Summary: OSAC issues tuition vouchers to certain OYCC participants. These vouchers must be used for post-secondary educational expenses at any two- or four-year college/university or an accredited trade school (non-credit and continuing education classes are not covered). Acceptable expenses include tuition and fees, room and board, books, transportation, educationally-related personal costs and certain fees. Eligibility: You must successfully complete an OYCC Community Stewardship Corps program. How to Apply: After you’ve finished the OYCC program, OSAC will send you a tuition voucher. Visit their website to learn more about the process. It’s never easy living on the cheap and earning a college degree. If you’re an Oregon resident struggling to afford basic services like heat, food and healthcare, you may qualify for state aid. The Oregon Department of Human Services (DHS) has a large section of their website devoted to Assistance Programs, with information on food stamps, TANF (emergency cash benefits), the Oregon Trail Card and the state’s Employment-Related Day Care program (ERDC) for low-income residents. Find a DHS Office in your area. Need more help? The Oregon 2-1-1 website is a one-stop-guide to community resources in Oregon and Southwest Washington. You can search for a huge range of programs dedicated to affordable healthcare, energy relief, food assistance, low-cost housing and more. To ask a real person for advice, dial 2-1-1 (toll-free) or text your zip code to 898211—they’ll be pleased to talk to you about options. We’ve also listed a number of county-specific social service organizations in our city sections below. Living on campus in Oregon has its financial upsides. You’re not paying for commuting costs, rooms are typically furnished, utilities are included in the room rate, buildings are up-to-code and campus security is fairly tight. In some cases, your school will require you to live in its residence halls. That’s certainly the case for full-time, first-year students at OSU, first-year students at PSU, and full-time freshmen at WOU. Visit the housing section on your school’s website for up-to-date information on rates and requirements. Schools have even gone out of their way to attract families. OSU has an affordable 107-unit family apartment complex, PSU has 1-bedroom and 2-bedroom units, and U of O has a variety of Family Housing and University Apartments. These options are always popular, so it pays to apply early. During your budgeting, you may discover that your federal and state financial aid doesn’t cover living costs. If you’re worried about housing, talk to your school’s residential life/housing coordinator or the Financial Aid Office. You may be eligible for private scholarships or university jobs that will cover room and board. In many Oregon cities, splitting the rent in an off-campus apartment can be significantly cheaper than paying for on-campus housing. After their first year, OSU and U of O students frequently live on-campus and commute. To get an accurate picture of expenses, try using the budget calculators on MappingYourFuture.org and CalcXML.com to compare on-campus costs (meal plans, dorm fees, etc.) with off-campus bills (groceries, utilities, etc.). Once you’ve decided to live off-campus, have a quick glance at your university’s housing website. Most schools are happy to provide search tools, planning tips, resources and support for their students. For instance, OSU supplies Off-Campus Housing advice, Reed University has an Off Campus Housing page and U of O has partnered to offer an entire Off-Campus Housing website. Ready to search? In addition to browsing Craigslist for cheap apartments, you can also try websites that allow you to target your school. Examples of these include Abodo.com, CampusRent.com and ApartmentGuide.com. Run out of options? The Oregon Homeless Shelter Directory includes emergency shelters and transitional housing opportunities. Utilities (e.g. power, water, Internet, etc.) are not always included in your monthly rent. Before you sign any Oregon rental agreement, get a clear picture of what utilities your landlord will cover (e.g. sewer) and what you have to pay for separately (e.g. cable). You can always ask for a monthly estimate of utility bills. Are you and your family already struggling with bills? Check out the Oregon Low Income Energy Assistance Program (LIEAP), a federally funded program designed to help low-income households with home heating costs, and the Oregon Energy Assistance Program (OEAP), which supports low-income households who are in danger of having their electricity service disconnected due to heating costs. You might also want to visit the Energy Assistance page on HEAT Oregon, the list of Energy Assistance programs on 2-1-1 and the list of Community Services on the EnergyTrust of Oregon website. There are lots of avenues available if you’re experiencing a financial crisis. Almost all Oregon schools have their own student health clinics with affordable healthcare services, including mental health counseling. For example, in addition to a same-day clinic and student health center, OSU has a 24-hour hotline with a registered nurse available to give advice. U of O’s University Health Center is staffed by board-certified physicians, nurse practitioners and a dentist and offers a wide range of specialty services. Offerings at WOU’s Student Health & Counseling Center include medical services, counseling services and wellness education. 24-hour emergency assistance is also available. If student health centers aren’t able to help, try searching FreeClinicDirectory.org and NeedyMeds.org to find community clinics and health centers in Oregon that offer free or affordable medical care. The same procedure goes for mental health crises. Visit your student health center first, then check out the state government’s list of Community Mental Health Programs. The Mental Health Crisis/Suicide hotline is 1-800-273-8255. Teeth are another story. Dental care can be really expensive, especially when it’s not covered by insurance. U of O has a dental clinic and Portland State provides dental services, but you may find that you need to look outside your school. If you live near the Oregon Health & Science University’s School of Dentistry in Portland, you can receive discount care from (supervised) students training to be dentists. Fees usually range from 1/2 to 2/3 the cost of typical fees from private practice. FreeDentalCare.us: Oregon also has a list of free and low-cost clinics in your community. Finding affordable child care is a real challenge for working parents. Luckily, a large number of Oregon universities and community colleges have stepped up. You’ll find child care services at the University of Oregon, Portland State University, Oregon State University and other Oregon schools. For example, OSU students can start with the university’s Childcare and Family Resources website; the school has a number of Child Care Centers and Child Care Subsidies. U of O students can apply for a slot in one of the university’s 3 Child Care Centers and ask for financial assistance, and WOU students receive 30 – 40% off child care at the Child Development Center. If there are no cheap options on campus, don’t worry. The Central Coordination of Child Care Resource and Referral (CCCCR&R) has a useful Oregon child care website where you can search for licensed providers in your zip code area. You can also apply for the Oregon Student Child Care Grant to help cover costs. U of O students can rent a bike for the term or day, participate in carpooling programs and ride the LTD bus system for free with a valid student ID. At OSU, there are lots of bike options, a free campus shuttle and free bus rides on the Corvallis Transit, Philomath Connection, Albany Transit and Linn-Benton Loop systems. At Reed College, you can purchase a TriMet mass transit monthly pass at 50% off the retail rate. PSU has a Student FlexPass Program valid on all TriMet buses, MAX light rail trains, Portland Streetcars, C-Tran local service buses (non-Express), WES Commuter train, and the OHSU aerial tram. Coming from out of town? Students ages 17-25 save 15% with the Amtrak Student Discount, no membership is required. Students can also get 20% off Greyhound travel and 40% off shipping with the Greyhound Student Advantage Discount Card. Please don’t go hungry in order to pay for college! OSU’s Emergency Food Pantry is open twice a month and serves students and non-students. SOU’s Student Food Pantry provides students with non-perishable food, produce from the campus garden and/or hygiene supplies once a week. And the Episcopal Campus Ministry runs a Student Food Pantry for current U of O, LCC, GC or NCU students with a valid ID. Your other option is to visit a community-based organization—they’ll welcome you with open arms. FoodPantries.org has a long list of Oregon Food Pantries and HomelessShelterDirectory.org has a similar database of OR soup kitchens, pantries and food banks. New moms or moms-to-be might also want to see if they qualify for the Oregon WIC Program. Perhaps the biggest challenge for PSU and UO-Portland students is finding a cheap off-campus apartment. Portland is a popular city, and Sperling’s Best Places puts the cost of living index for housing well above the national average. On the up side, there’s easy access to public transportation, 319 miles of area bikeways and plenty of brew pubs. If you get stuck, one option to try is College Housing Northwest, a non-profit organization that provides affordable student housing at below-market rates. General information on city living can be found on the City of Portland, Oregon website. Maybe you have family commitments. Maybe you’re worried about financial aid. Maybe you just need a little help paying the monthly bill. These Portland non-profit organizations can lend a hand. Impact Northwest runs a large number of anti-poverty programs for low-income residents & families. Examples include the Independent Living Program, which supports young people transitioning out of the foster care system, and the Housing and Safety Net, which connects families to housing and energy assistance. There are many more! North by Northeast Community Health Center supplies high-quality healthcare services to uninsured and OHP-covered adults (over 18). It serves as a primary care center for the African-American community in Portland. Self Enhancement Inc. (SEI) serves at-risk urban youth. In addition to K-12 programs, SEI offers post-high school support, including preparation for college entrance exams, financial aid workshops, career exposure and job interview skills classes. LifeWorks Northwest provides prevention, mental health and addiction services to folks of all ages. View a list of their Portland locations or find a specific service. Native American Youth and Family Center (NAYA) provides educational services (e.g. college and career services), cultural arts programming and direct support (e.g. emergency assistance) to the Portland Metropolitan Area Native American community. You can also search for specific keywords (e.g. family, health, youth, etc.) in the list of Portland non-profits on Neighborhood Notes or search by category (e.g. education, food, etc.) in the directory of Portland, OR non-profits on CharityBlossom.org. Budget-wise, Salem is not such a bad place to live. According to Sperling’s Best Places, the cost of housing is much cheaper than Portland and utilities are below the national average. A large number of WOU students live off-campus and commute, and the campus is served by the CARTS bus service. You can find general residential info on the City of Salem website. When you’re working, going to school and dealing with issues at home, life can quickly become overwhelming. If you find yourself reaching a crisis point, these Salem non-profit organizations may able to help. Mid-Valley Community Action Agency (MVCAA) can connect you to a range of low-income programs, including childcare assistance, energy assistance and housing referrals. Northwest Human Services provides medical, dental, mental health and social services to residents of Marion and Polk counties. Health services are offered on a sliding fee scale, homeless residents are housed & supported and 24-hour support is available for folks in crisis. Limited financial assistance is on tap for emergencies. Hope Station Community Services assists individuals and families whose salaries are below the state poverty line. Help is given with groceries, clothing and household items; adult education classes are also provided. Helping Hands Resources gathers donated clothing, bedding and household items and gives them to anyone in need (including families and children) at no charge. You may also wish to search by category (e.g. education, food, etc.) in the directory of Salem, OR non-profits on CharityBlossom.org. Since most U of O students end up living away from school (see our section on Off-Campus Housing above), it’s useful to know that average housing costs fall between Portland and Salem; utilities are often cheap. If you look in the right places, you’ll find a lot of hippies and some pretty affordable rents. General info about renting can be found on the City of Eugene website. When unexpected emergencies or family & housing problems arise, college bills can break the bank. No matter what challenges you’re facing, these Eugene non-profits are ready to tackle them. The Community Sharing Program has created a basic needs safety net for South Lane County. That net includes emergency food supplies, utility & housing assistance and services for the homeless. Centro Latino Americano caters to the local Latino community, providing translation & interpretation services, youth mentoring & educational goal planning and community mental health services. Food for Lane County offers food boxes, on-site meals and emergency food relief to low-income residents and non-emergency services such as programs for children and supplemental food programs (e.g. rural delivery). Occupy Medical is an all-volunteer clinic that delivers no cost, high quality medical services to the Eugene-Springfield community. You can also search by category (e.g. education, food, etc.) in the directory of Eugene, OR non-profits on CharityBlossom.org.